Vijay Devarakonda has become one of the leading star heroes in South India by scoring consecutive hits in the past few years. He is also the one who has set a trend of acting in bold film and bold characters and proved that the audience will accept bold content if the intention is honest. Arjun Reddy is the perfect example of that. Even though it had multiple kissing scenes, it didn’t stop the movie from being a success. Since then, Vijay is showing no qualms to acting in kissing scenes. 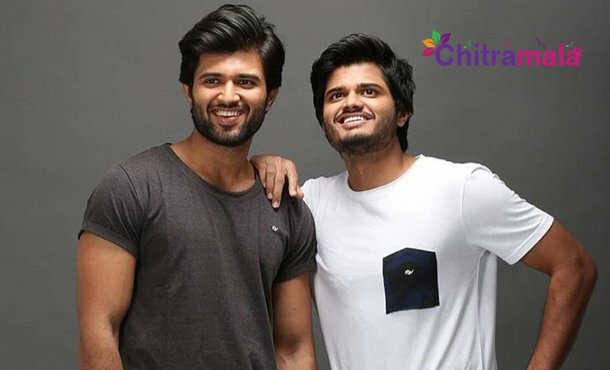 Now, it seems that his brother Anand Devarakonda is also following the same route. Anand is making his debut with the film Dorasani, directed by KVR Mahendra. Hero Rajashekhar’s daughter Shivatmika is acting as the female lead in this movie. The makers recently announced that the film’s teaser will be released soon. According to the sources, the teaser will feature an intense kissing scene between Anand and Shivatmika. Thus, it looks like Anand is making his brother’s statement right from the debut film itself.